Donald Trump isn't the same as other Baby Boomers. Psychologists tell us that human beings like to put things in categories to make them easier to understand; this is what leads to stereotypes. Stereotyping people by race or gender is deeply politically incorrect today. Even though it's an objective scientific fact that, for example, there are discernible differences between females and males, some groups claim that it's deeply offensive to point this out. A stereotyping which is still permitted, is to categorize people by generations. The Greatest Generation was hardworking and diligent; the Baby Boomers were selfish and idealistic; Gen X was lazy, and the Millennials are concerned more with personal experiences than with achieving traditional financial success. Forests have been felled explaining how the childhood experiences of each generation has shaped their worldviews. To an extent, this makes sense: the Greatest Generation's views were formed in the depths of the Great Depression, where hard work and extreme measures were essential just to stay alive. Then their first experience as adults was fighting Hitler, cementing their views on the importance of diligence and duty. Similarly, the Baby Boomers were raised in peacetime and wealth provided courtesy of the sacrifices of their parents. They never had to learn the strictures of diligence and duty; their every need was provided and every whim catered to, leading to their core belief that the world could be a perfect place if we wished it so. Their parents knew better but didn't teach that unpleasant reality. As each generation ages, it rises up the ranks of wealth and power. Bill Clinton, a Baby Boomer, took over the Oval Office from Greatest Generation and war hero George H.W. Bush; George W. Bush was also a Boomer, both being born in 1946. And now we have Donald J. Trump. What exactly is he? On paper, Mr. Trump looks like a Baby Boomer. Like Mr. Clinton and Mr. Bush Jr., he too was born in 1946, apparently a very good year for gestating presidents. The legendary life of Mr. Trump seems, if anything, like the ultimate Boomer epic. Is there any personal desire that Mr. Trump has been unable to indulge? Everything he has ever wanted, he's gotten - and yes, his success is thanks in large part to the generosity of his father's infamous "small loan of $1 million." Certainly, Mr. Trump's marital life exemplifies the Boomer stereotype of frequent divorce. Yet at the same time, Mr. Trump demonstrates Greatest Generation characteristics. While he wasn't loyal to his wives, he seems to be intensely loyal to all his employees and children, and at least generous to his exes - they all still respect and even admire him. Aside from the betrayal of divorce, The Donald seems to have really tried to live up to his duties as a father, with great success. Similarly, where the Boomers often expected the world to cater to them, the Trump perspective is a little different: Yes, Mr. Trump does expect deference from the world, but by virtue of his earned success, not by natural right. He works like a machine, and enjoys the rightful rewards of his labors; the Greatest Generation would fully understand and approve. There's another aspect to The Donald's life that speaks to generational gaps. His formative years were the late 1950s and early 1960s when America had matchless economic success and stability. That's why, when he says "Make America great again!" he knows what he means by an American greatness that we have somewhat lost. Even though he's always been rich, by virtue of being active in the construction industry Mr. Trump has always worked closely with normal working- and middle-class people - because that's who builds and operates his buildings. He may not personally understand the catastrophe of job loss, but he personally knows a great many people who do. That speaks to a large part of his political success. He knows how things used to be for normal people - and he knows from what he learned across America during his campaign, how things are now. The contrast is striking and deeply disturbs him, as his son explained. Do Millennials want the flexibility of casual employment? No they do not - they only seem like they do because often that's all they've been able to get. Given the choice, they'd much prefer the stability of the traditional job that their parents and grandparents enjoyed. Barack Obama could not offer them this; neither could Hillary Clinton, and she didn't even seem to really care to try. Can Donald Trump? We don't know, but his rhetoric shows that he understands that he needs to, and he has a few years to make the attempt. In a strange way, today's Millennials have a resemblance to the earliest parts of what became the Greatest Generation. Their earliest childhoods enjoyed wealth - the Clinton tech boom and the Roaring 20s. 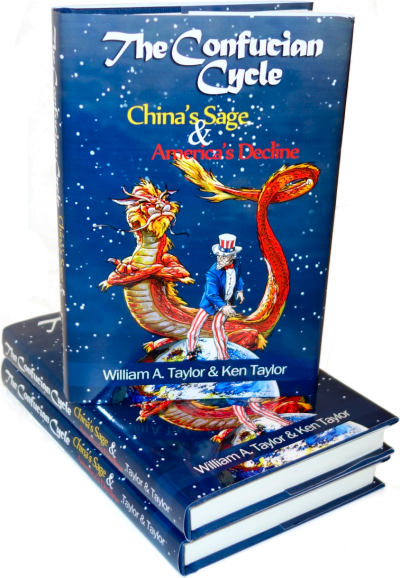 Their teen years and early adulthood suffered collapse and catastrophe - the Great Recession and Depression and the dot com bubble, 9-11's War on Terror and World War II. The comparisons are not exact and differ greatly in severity. Today's global mass media not only bring bad news home in a way that the technologies of eighty years ago did not, their sales-oriented motto "if it bleeds, it leads" means that they tend to exaggerate whatever bad news they can find or make up. At the ripe old age of 70, President Trump offers a perspective across much of the American century. He knows what America can do; he knows what it has done, and he understands what it ought to be able to accomplish even today. The fact that it can't annoys him as much as it frustrates and dismays the Millennials and his other voters. For the entire lives of the Millennials, America's political discourse - really, the world's - has been almost entirely controlled by doctrinaire liberalism trending towards economically disastrous bureaucratic leftism. For their entire lives also, the American condition at the level of the personal pocketbook has at best stagnated, and often worsened. Hillary's campaign represented more of the same genteel decline; Mr. Trump offered we knew not exactly what, but presumably something very different. Is it any wonder that so many "forgotten Americans" chose to take a chance on him? President Trump has four years - or perhaps only two - to make a difference in these people's lives. If he succeeds, he'll have created a historic political realignment and be the greatest president of this century. And if not - we'll be no worse off for the attempt. Millennials include those born in the Reagan years - far more economically successful than the Clinton terms - and covering the Soviet collapse as well.